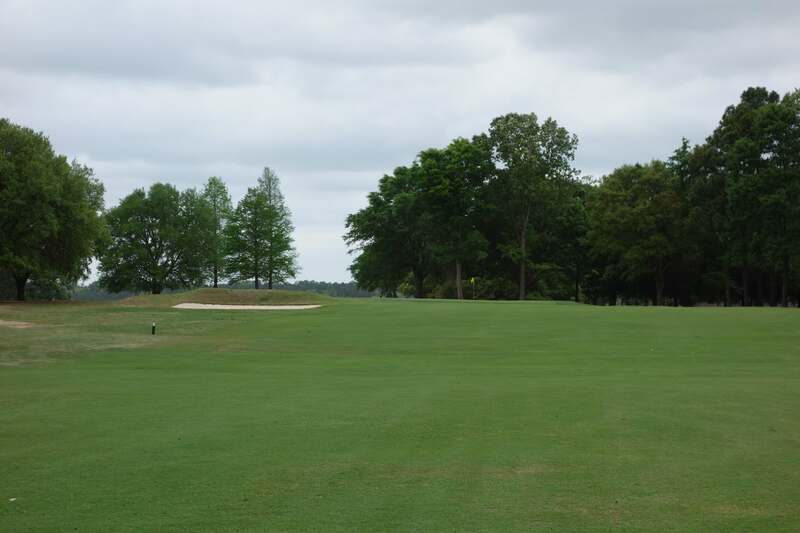 To quote from a friend who has played all of the top 100 golf courses in the world, “Luck played a large role in getting on all of the courses, and if anyone told you that life was fair, they were lying!” This statement sums up my recent visit to Yeamans Hall. By chance, my girlfriend ran into a member of the club, who upon finding out that I was a golfer and lived in Charleston, generously offered to put us up for a weekend in the cottages at the club. Three weeks later, we spent a weekend at Yeamans, stayed in the beautiful cottages, played two rounds of golf, and soaked in everything that Yeamans Hall has to offer. 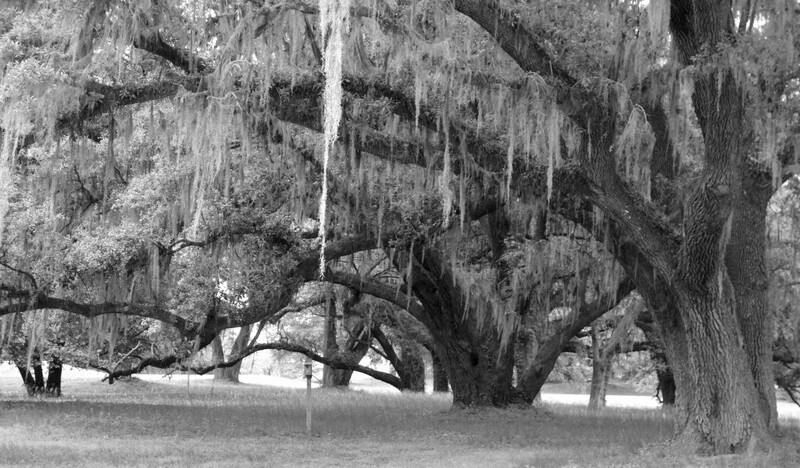 The grounds at Yeamans span over 900 acres near Charleston, South Carolina. Passing through the picturesque gate is like entering another world. 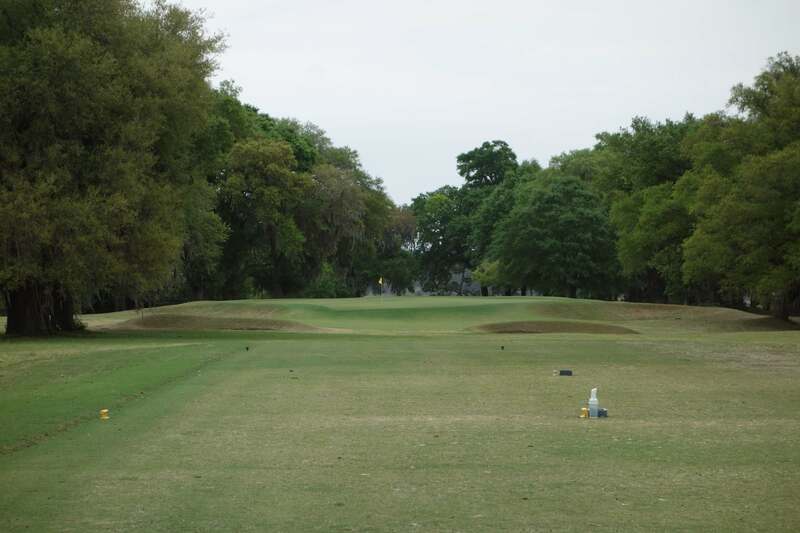 None of the roads are paved and the entrance road meanders through giant cathedral oaks, presenting peeks at the golf course and the cottages on the property. 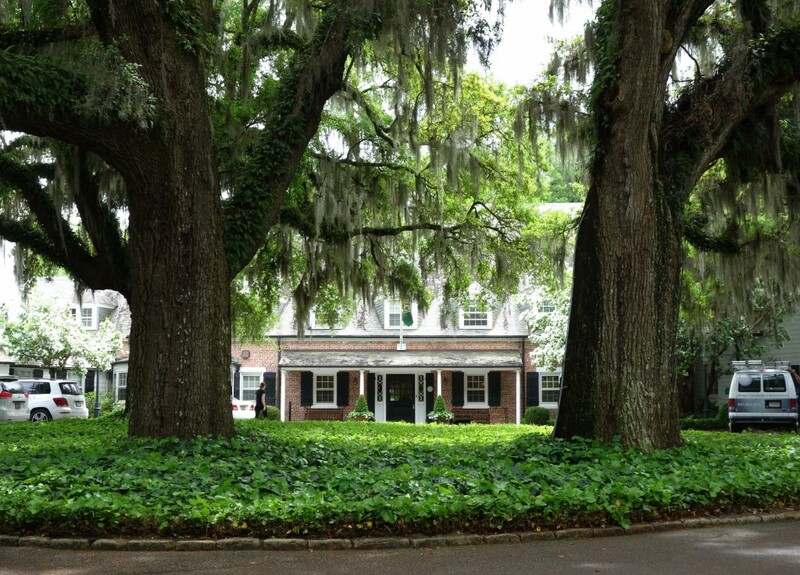 There are 35 cottages at Yeamans Hall, and the beautiful homes are dotted around the property. They are owned by families who in many cases can trace their roots back to founding members of the club. 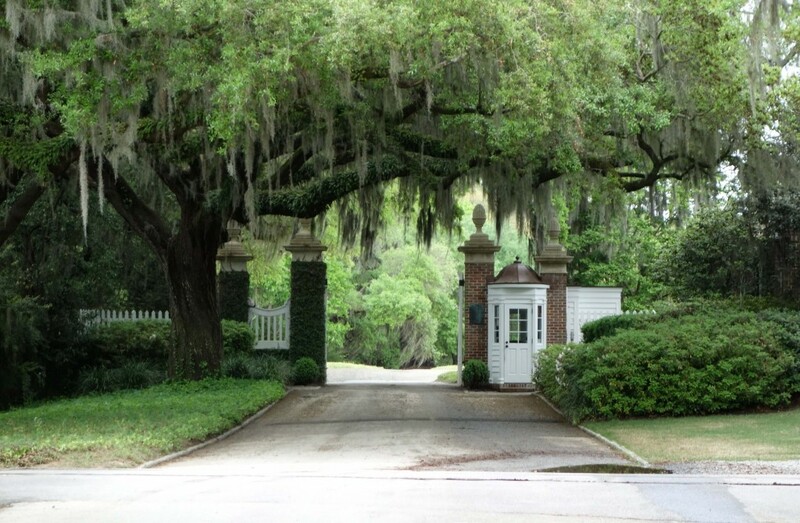 Seeing these beautiful Southern homes hidden among the Spanish Moss adds to the beauty and mystique of the place. My first round took place in the evening, and we only saw one other golfer who was walking the course with his dog. That first round summed up Yeamans well – it felt like an enormous nature reserve with a great golf course. 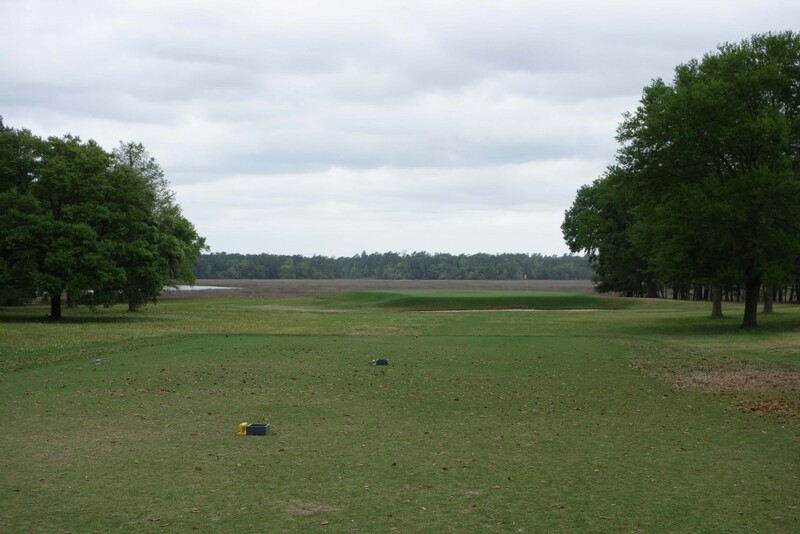 Our weekend at Yeamans fell over Masters weekend, so after visiting Augusta National Golf Club on Friday, we made our way to Yeamans to play some golf of our own. We watched the tournament finish up in our beautiful guest cottage. Life isn’t too bad. Yeamans Hall was founded by a group of likeminded businessmen in New York. The piece of land was chosen for its beauty, location in the warm South, and proximity to New York – it was an easy single day train journey from the city when the club was founded in 1925. The professional team in place when the club was being created could not have been better suited for the job. Fredrick Law Olmsted, the famed landscape architect known for designing New York’s Central Park, is lesser known for his roles in golf. 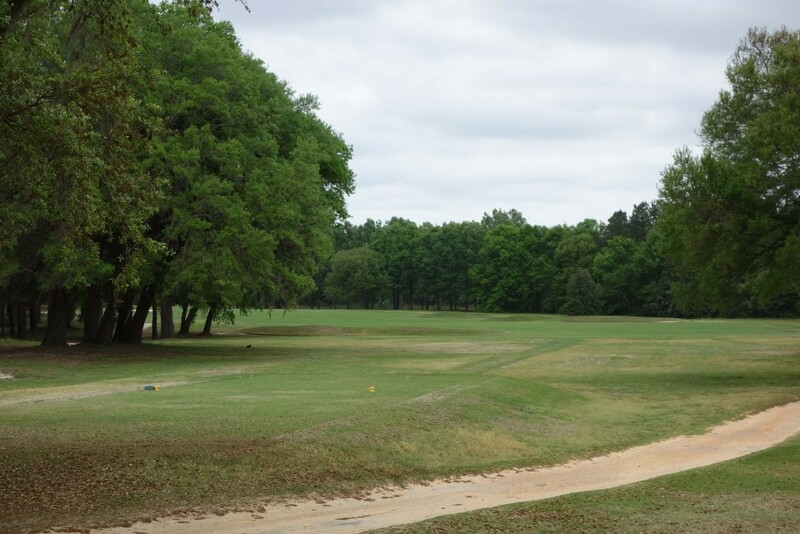 He designed the village of Pinehurst and the grounds at Yeamans Hall among a number of other clubs. 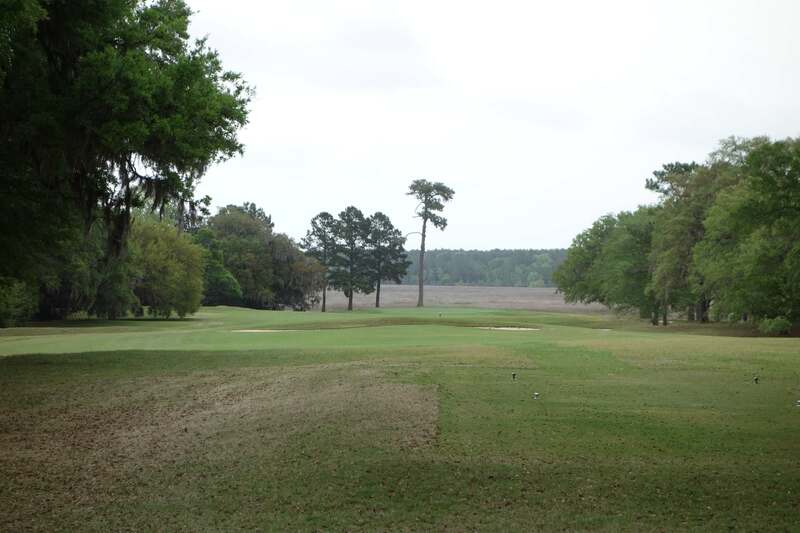 Seth Raynor laid out the golf course itself, creating a beautiful layout on the Lowcountry terrain. James Gamble Rogers was a founder of the club and the architect of the clubhouse, quadrangle of guest cottages, and a number of other buildings. 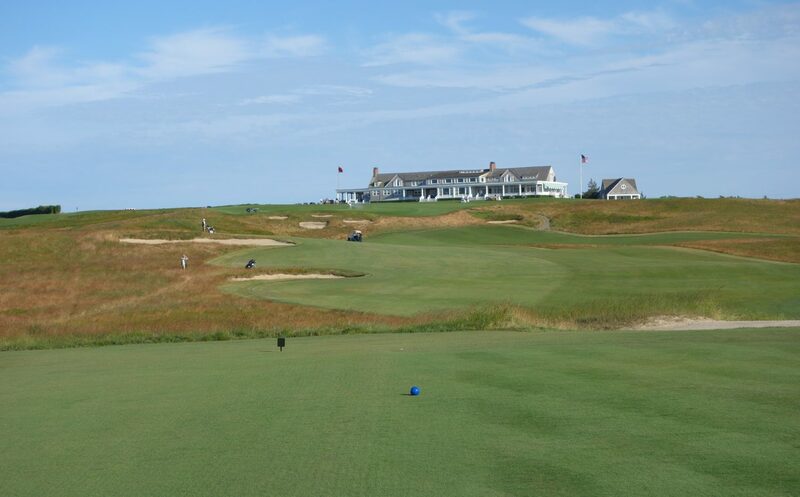 A history book on the club says, “What Olmsted brought to the grounds, Rogers brought to the buildings.” The result of these three geniuses work is one of the truly special places in golf. The greens at Yeamans Hall are massive, and as you will see below, many feature the original squared off corners found in the Raynor’s design. 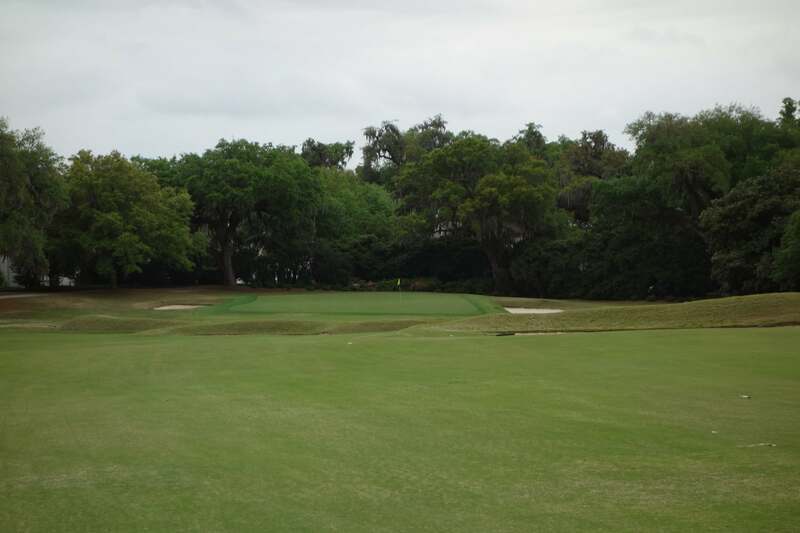 However, after World War II, the greens and bunkering on the course began to shift away from original designs. Greens became much smaller, bold slopes and contours became muted, and original bunkers were either grassed over or removed altogether. Thankfully, in 1998, Tom Doak was brought in by the club to restore the golf course. Doak and his crew of shapers (George Waters included) restored the course to its former glory based on original descriptions and early photographs. The resulting greens, with their plateaus, spines, and square off edges are great and unique. The very firm playing conditions on the course pair up perfectly with Doaks bunkering and green changes. 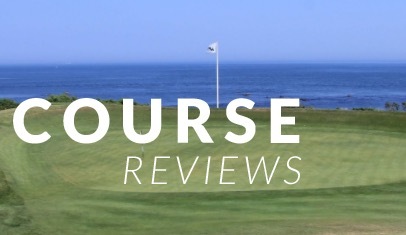 This aspect of the course was similar to Fishers Island Club, another notoriously firm Raynor design. 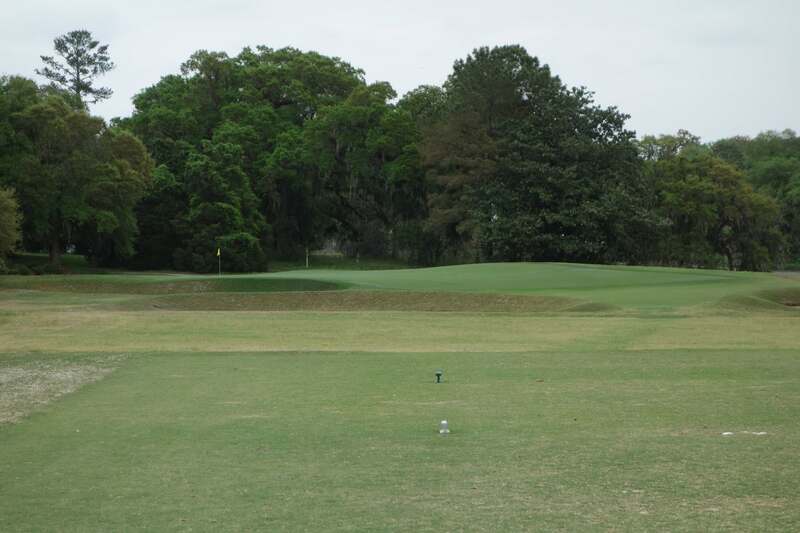 The opening hole at Yeamans features a green indicative of what is found later in the round. The firm turf also allows for run-up shots depending on the pin placement. 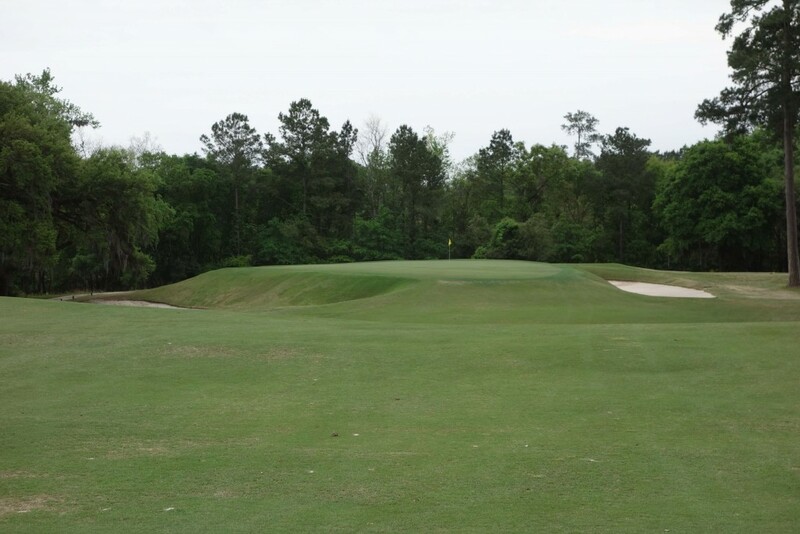 The dogleg left second hole has three bunkers down the right side of the fairway. 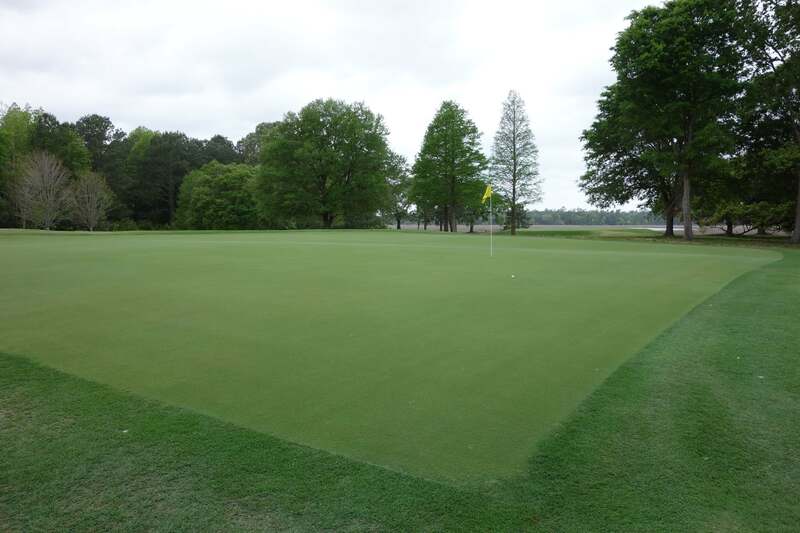 The green is slightly raised and deceptively deep, putting a premium on distance control during approach shots. The squared edge on this green is one of many found on the course. One of the most beautiful views during the round is on third hole. The par 3 is surrounded by bunkers on the front and back. 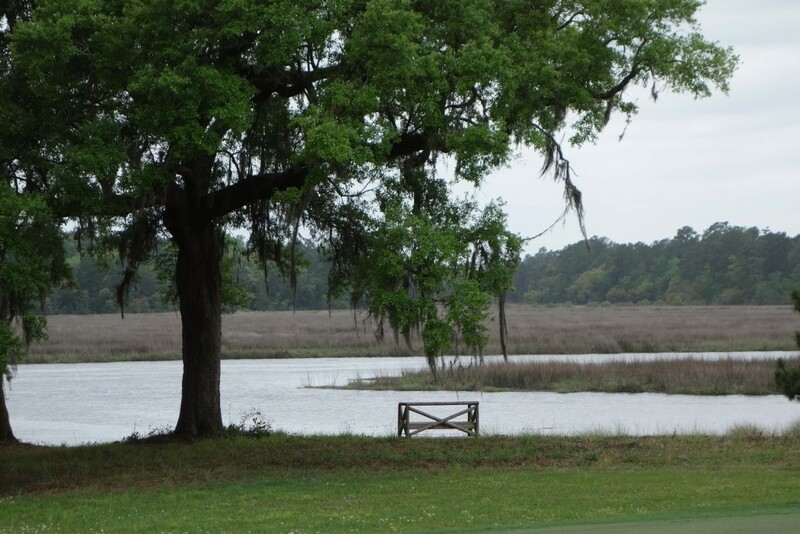 After playing this hole you have to pause and enjoy the marsh view before going on to the next tee. The Redan hole was one of my favorite on the course. 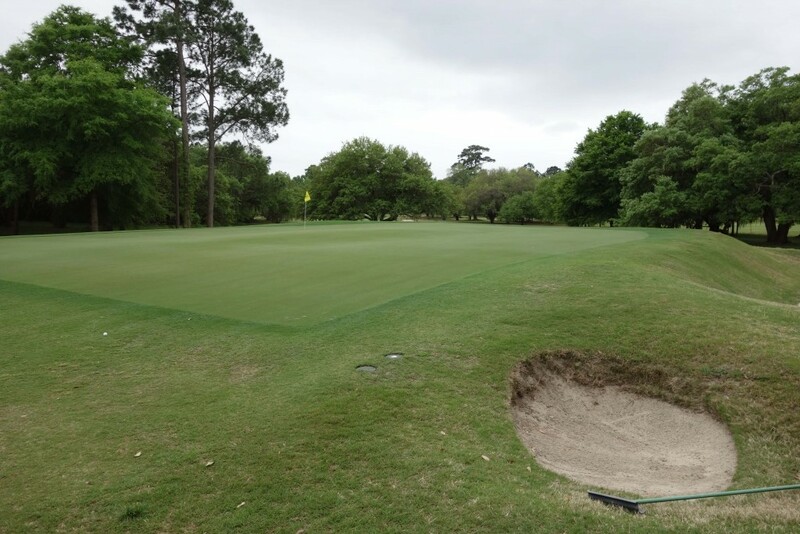 It is a full long iron or hybrid to reach this green, and the intimidatingly deep front bunker encourages you to play the hole correctly – landing it in the middle of the green and letting the slope take the ball left towards the pin. The picturesque marsh features again on this hole. 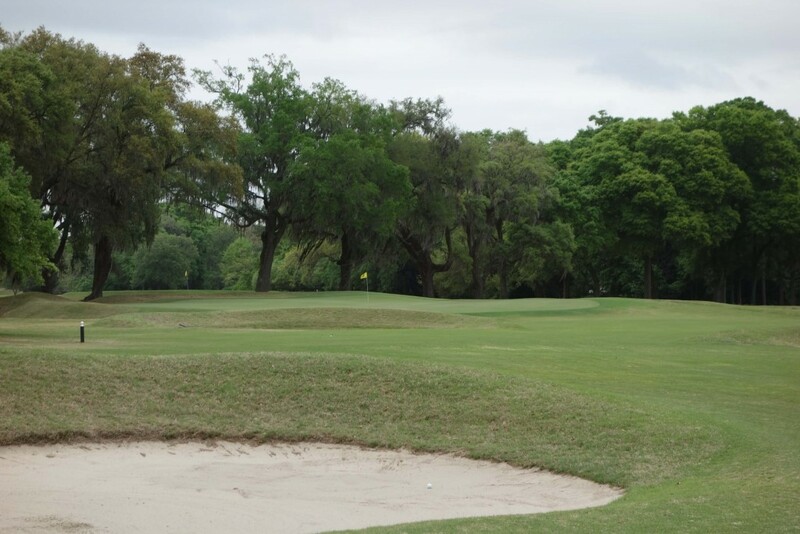 The firm fairway means that balls can trickle into the bunkers on the right side of the hole. The green is another massive putting surface. Additionally, a handful of the beautiful cottages on the property are on the left side of this hole. The comparatively short 10th hole features a challengingly small green. If the pin position is middle, balls naturally feed towards the hole. 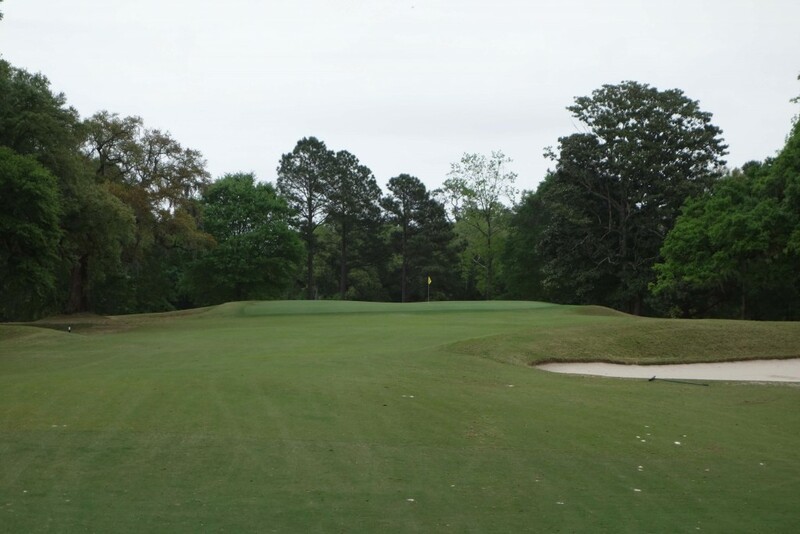 If the pin is on the narrow outer ring of the green, you’re in for either a very tough approach or a difficult putt. There is a valley of sorts in the fairway of the 11th hole. 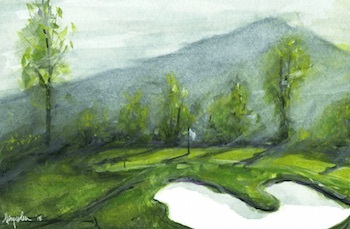 A well-struck tee shot rests in the valley, creating a blind approach to the green. The photo above is taken on the upslope just past the valley. 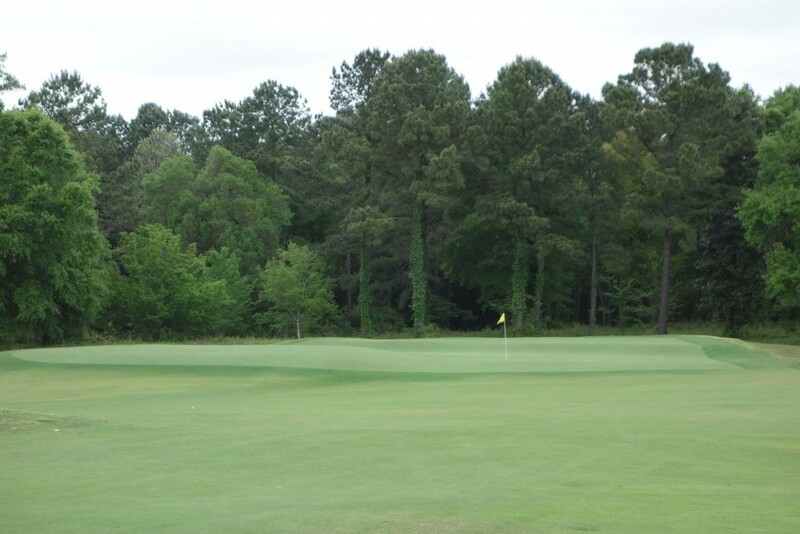 The large green has subtle slopes that lull you into false confidence before tapping in for your 3-putt. The Eden green at Yeamans Hall features massive bunkers guarding the putting surface. 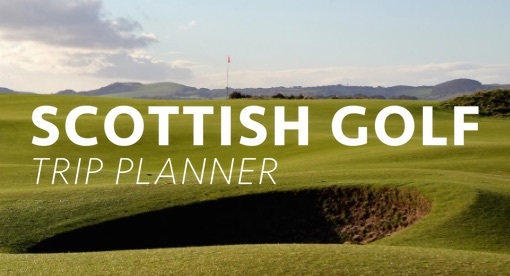 It simply takes a well-struck iron to reach the putting surface – similar to the original Eden green on the St Andrews Old Course. The challenge on the 14th hole rests with the approach shot. A miss left or right of the raised green ends up in very deep bunkers. A left pin on this green would be very difficult. The dogleg left 15th hole is no slouch at 458 yards. The green is large, accommodating shots from long irons, but subtle slopes and spines on the green making putting difficult. This comically small bunker pictured above would hardly be enough room to make a swing. Also take note of the squared off green corner. The 17th is another great par 4 with one of my favorite greens on the course. It is framed beautifully by the live oaks behind the green, and various ridges play tricks on all of your putting reads. The guest cottage we stayed in for our visit was just left of the 18th hole. I knew I would love Yeamans Hall when we saw a group of golfers play low, running shots up onto the 18th green the night of our arrival. A row of cross bunkers dissects the fairway catching shorter hitters trying to reach the green in two. The hole requires strategy and was one of my favorites – that being said, I birdied it both days! 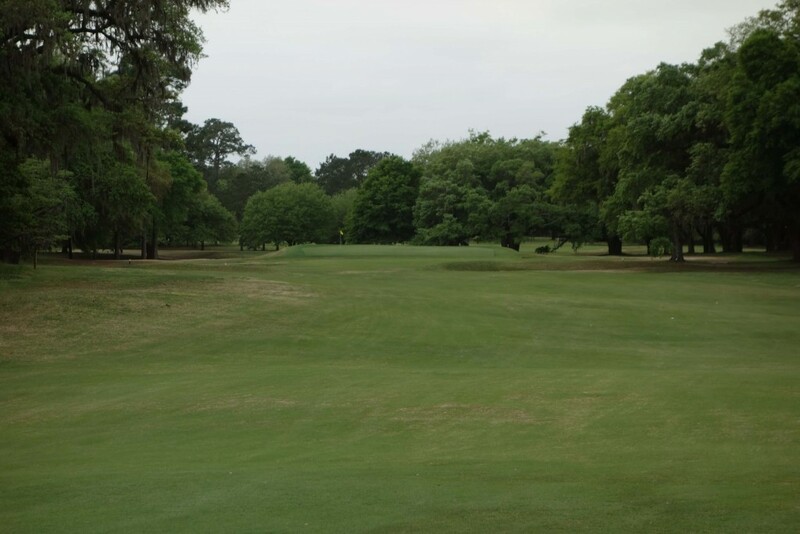 One of the aspects of our experience at Yeamans Hall Club that stuck with both my girlfriend and myself after leaving was the friendliness of everyone, particularly the staff. It felt as though we had been long time members of the club and everyone greeted us by name, pointing out history books we needed to read, paintings we needed to see, and favorite spots on the grounds that we needed to visit before leaving. This added to the experience immensely. 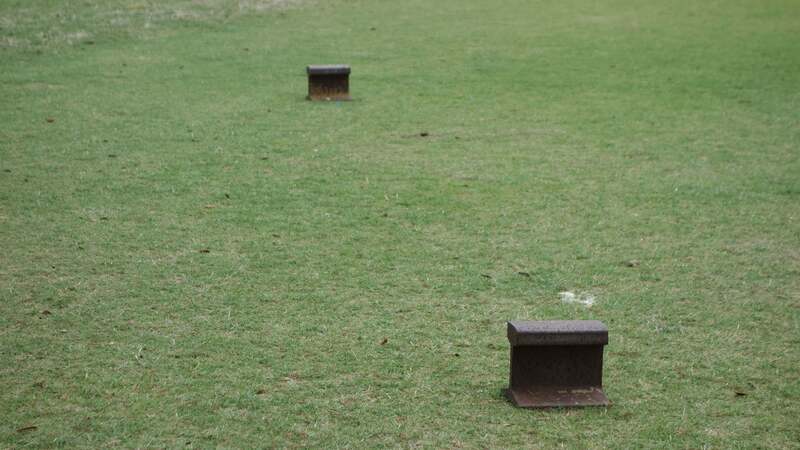 The place has an understated quality – all tee markers are cut from old rail road lines. 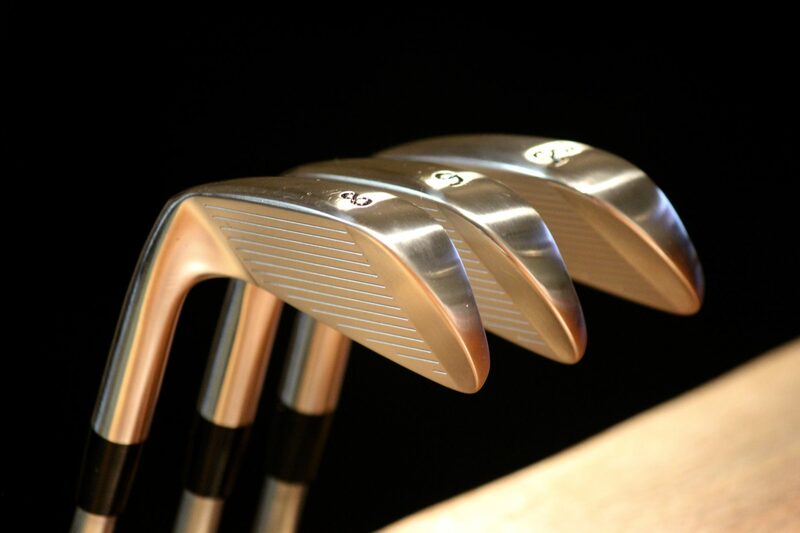 Some are painted, but the tips are called the “Rust” tees. 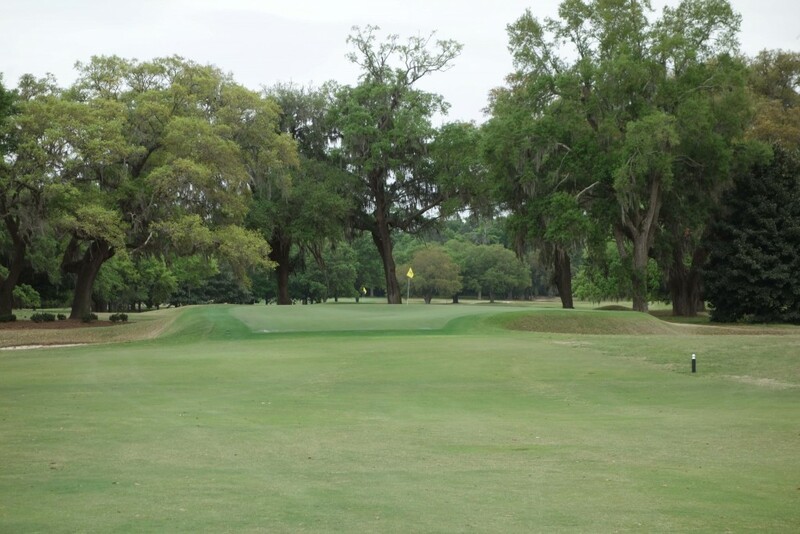 To repeat myself, and use a descriptor often said of Yeamans Hall, it is truly one of the special places in golf. 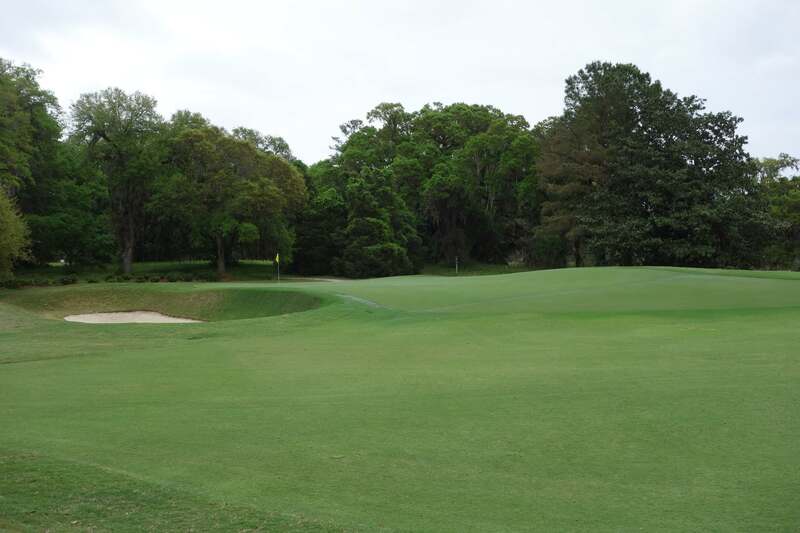 Great write-up, love the unique Raynor features that Doak was able to restore to bring this course back to treasure for American golf that it is today. Hopefully I will be able to include YHC on my list when I make the journey down to Charleston next summer! 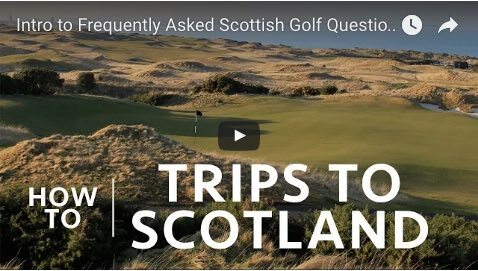 I would love see a follow up about the cottages and the clubhouse with as much detail as you use for the golf courses themselves! As you say, its about the entire experience and I’m sure people would appreciate the full look at your time. Hi Nathan! Thank you for the comment and I’m very glad you enjoyed the review! You’re totally right about the interest being in the full experience. 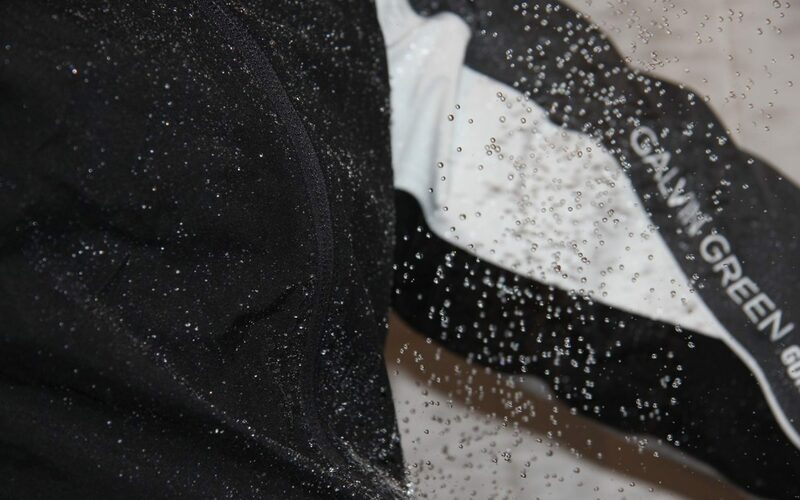 There are two reasons why I avoided full detail of the cottages and clubhouse. The 35 cottages are private homes, and in an effort to respect people’s privacy, I didn’t take detailed photos of the homes. The second reason I avoided photographs of the clubhouse and guest cottages is similar to the first. I was aiming to respect the privacy of the club and hopefully get invited back again at some point. My suggestion is that you pick up a copy of “The Cottages and Architects of Yeamans Hall” written by Charlton deSaussure, Jr. deSaussure is a member at Yeamans and had the club’s blessing to write a great book on the history of the club and cottages. 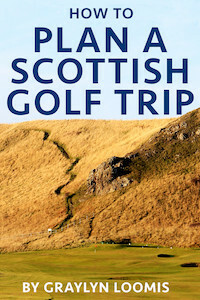 It is certainly worth a read and gives great insight into the clubhouse and cottages! Are there private buy/sell covenants/clauses restricting ownership /tranfers OR do these home trade publicly? There are no public records of direct ownership. The club is structured legally as a “trust”. trustee or beneficiary?? Hi John, I don’t have answers to any of those questions. I was just lucky to spend a weekend there as a guest. I do know that most of the homes stay within the same families for generations and rarely, if ever, would go up for sale publicly. I was lucky enough to be a member of Yeamans from age 12-18 yrs old. We had a family membership when we moved to Hanahan, SC. I am now 53 yrs old and I learned to play Golf from my Dad and older brother at Yeamans. So few members you could tee off at 1:00 pm any Saturday or Sunday and were lucky to even see another group at the 1st hole. I shot a 108 my first legitimate round at Yeamans. When I went off to college ( Clemson ) my best score at Yeamans was 74. I can live to be 100 yrs old and my greatest memory of growing up in Hanahan/Charleston will ALWAYS be the time spent in that amazing, incredibly secluded, private Golf course. That course will ALWAYS have a special place in my heart. Being dropped off at the club house at 8:00 am, my Mom giving my brother and I $5-10 to eat lunch and stay hydrated, and returning to pick us up at dark!! We usually gave her back change. It was the safest, most secure and friendliest BABYSITTER one could possibly have. Oh how I love the memories and time…spent at that AMAZING GOLF COURSE!!! Life simply could not have been better for a teenager learning to play golf. I miss it so much it actually hurts!!! An amazing course. Just played it this past week for the fourth time over the last seven years. Each time it is even more enjoyable. Unfortunately the harsh winter weather that brought seven inches of snow and nearly two weeks of freezing weather did a number on the greens. I can’t wait until the next timne I am able to return.